Fresh Strawberry Pie – First item of business for today: the new site! If you’re reading this from your email inbox right now you might want to jump over to the site to check out the new design. I’ve been wanting to make the website easier to navigate for quite a while now and finally bit the bullet and did it! I really hope you like it and that’s it’s easier to use and find the recipes you want. I’d love to hear your feedback, too! Shoot me an email or leave a comment– I’d love to hear from you! Second: fresh, juicy, sweet, tart, mouthwatering, strawberry pie. Strawberry Pie Is SO Easy! Here’s the thing with strawberry pie. It’s usually about this time of year that I start to see pie crusts piled high with glossy mounds of fresh berries that call to me like sirens from their glass bakery cases. But really, I know that if I purchase said pie the glaze will likely be gummy and taste something akin to hair gel and artificial strawberry flavor– which, call me crazy, is not my favorite flavor. So I just resort to making it at home. 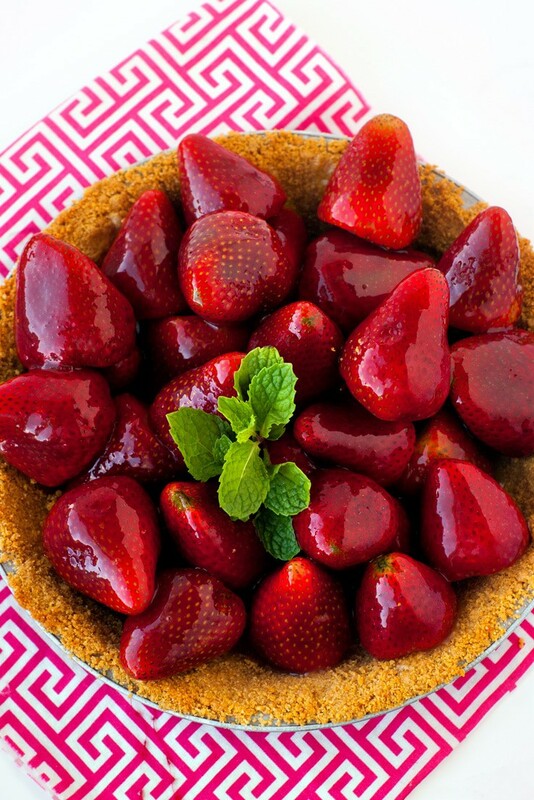 Fresh strawberry pie is sooo easy to make and only takes a handful of ingredients. 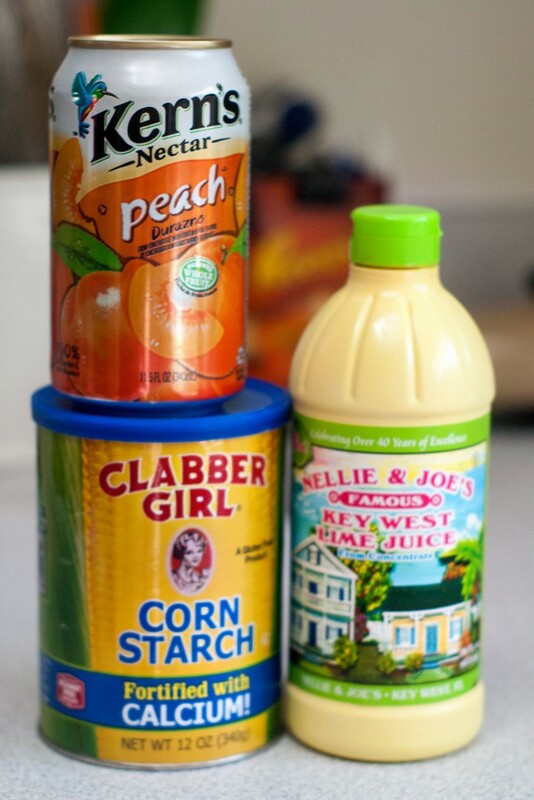 For my glaze I use a combination of peach netcar, lime juice, sugar, and corn starch to thicken. The peach nectar gives the glaze the fruity-ness it needs without tasting artificial or overpowering the flavor of the fresh strawberries. Plus it adds that little “mmmm what is that flavor?” to the pie which is kind of fun when serving it to guests. All you do for the glaze is bring the nectar, lime juice, and sugar up to a boil on the stove, stir in a little cornstarch and you’re done! You do have to let it cool completely before tossing it with your berries, though. 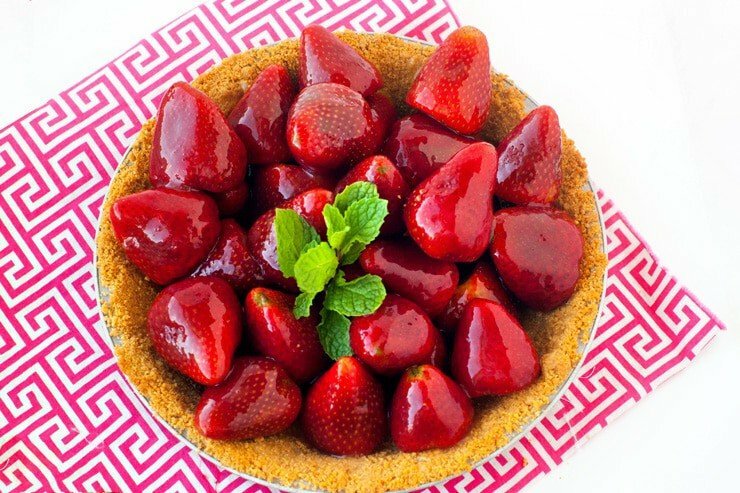 I prefer a graham cracker crust for my strawberry pies so that recipe will be included below, but standard pie crusts are good too. You could make a batch of my Secret Ingredient No-Fail Pie Crust and have enough for two strawberry pies or use one and save another for later. The glaze is light, not overpowering and the perfect compliment to the fresh berries. Hope you enjoy! Combine nectar, sugar, and lime juice in a small sauce pan and bring to a boil. In a small bowl combine cornstarch and cold water and whisk into the boiling juice mixture, stirring constantly for at least one minute or until thickened. Remove from heat and cool completely. 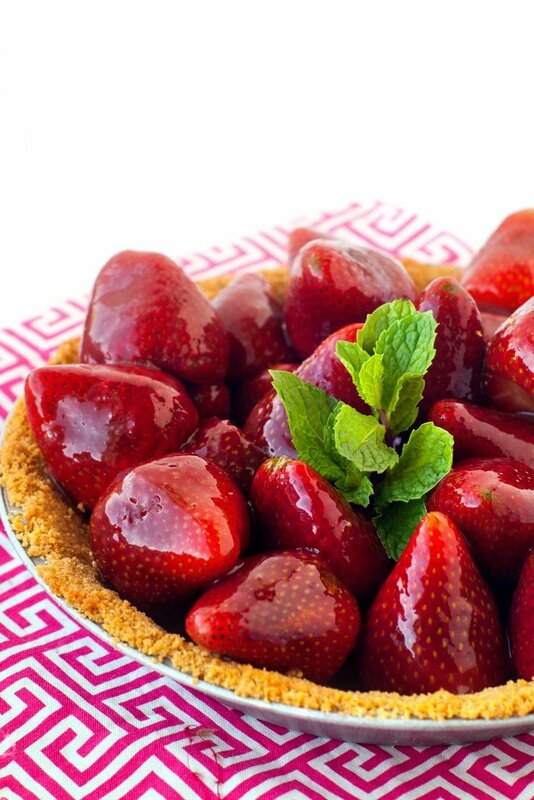 Toss strawberries with cooled glaze and spoon into cooled crust. Serve with whipped cream if deisred. I’ve been meaning to make a Fresh Strawberry Pie in forever and I’m loving that this popped up! 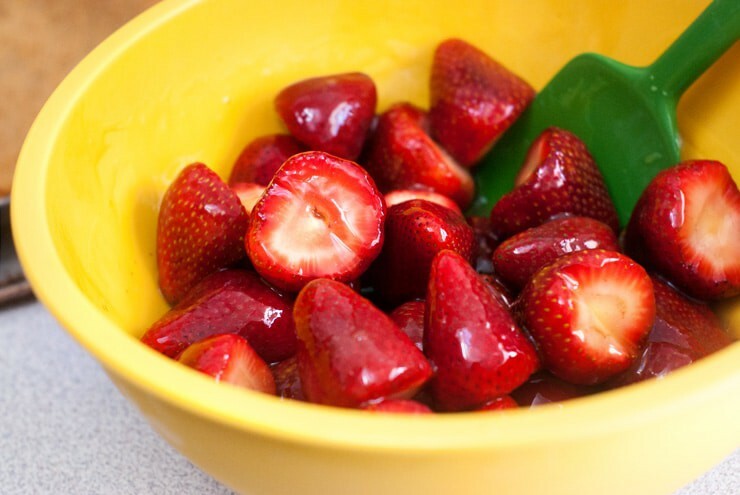 Those berries are so pretty and I’m totally craving strawberries right now! Those strawberries look amazing, I just want to pluck them off the screen! That’s a great looking strawberry pie, I wish I had a piece! This looks amazing! I’ll definitely have to try this! Your new site looks fantastic – congratulations! I just did the same thing recently and I feel like my whole life had a makeover. 🙂 This pie is so pretty…perfect way to celebrate your new look. 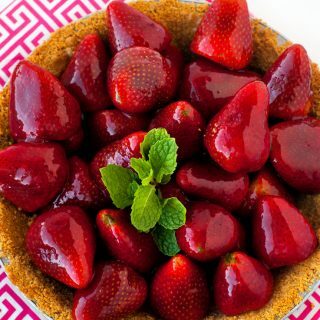 What a gorgeous strawberry pie! This would be such a lovely dessert to serve at a party. Your site looks great–love the clean, uncluttered look, and the recipe index that includes photos of the recipes is wonderful. I would make your header bigger, but that’s just me. I appreciate all the hard work you do. I would like it if you put a Pinterest button on your pages so I can save your recipes easier. Thanks. I enjoy your recipes very much. Keep cooking.